helo everyone, i'm rai from indonesia Would you like to help me ? I have a design project pulse oximeter lbased abview Arduino. 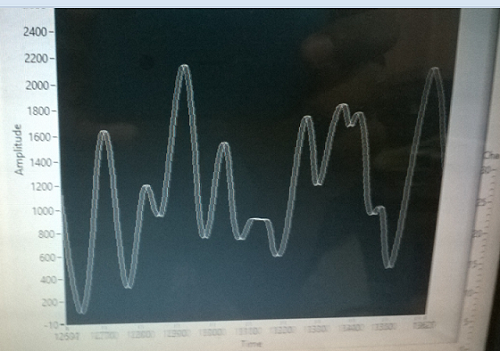 I have some problem how to process the signals obtained from the sensor.? how do I find the maximum and minimum peak values ​​to find the value of the ratio of the value that can be calculated with the formula spo2 = 110 - 25*R as shows up in the picture below? I've been able to acquire data from the sensors using labview interface Arduino as shown below. Since you have LIFA working and are not asking about LIFA, you will probably get better answers in the LabVIEW forums for the question: "how do I find the maximum and minimum peak values ​​to find the value of the ratio of the value that can be calculated with the formula spo2 = 110 - 25*R as shows up in the picture below?" helo Nathan, i'm rai, nice to meet you. i have asked in LabVIEW forum but there are recomendation to ask here. If you are just asking about processing the data, the best place is to ask over there. If you are having issues with the actual data collection using LIFA then you should ask here (but LIFA is outdated and has be superceded so there isn't all that much support for LIFA anymore). While not related to your question, you should make sure you insert the Continuous Acquisitino Off VI after the while loop and before the Close.vi (assuming you are not getting any errors). Getting support from the LabVIEW forums is going to be better than any support that I can give you (many LabVIEW experts browse the LabVIEW forum including those that work for National Instruments).